Yummmm…I might have to try to oatmeal raisin ones. oatmeal raisins is my fave. oatmeal is good for the heart too! Winner yan! Where do you buy it? I love that… Ang mura! 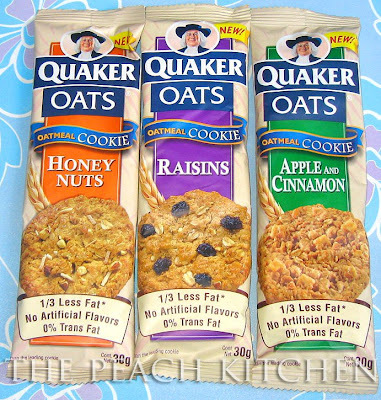 Quaker oats has cookies now! I didn’t even know! Yummy! I haven’t seen those yet. They look yummy. that’s so good! healthy and delicious, i never tasted it pa! i’ll try that next time!